On Tuesday the Chinese regime’s news agency, Xinhua, announced that former domestic security tsar Zhou Yongkang has been arrested. According to the official announcement, Zhou is being charged with “grave violations of discipline,” although the official charges are not expected to name Zhou’s gravest crimes. The announcement is the climax to a drama that goes back to May 2012, when Epoch Times reported that then-Communist Party leader Hu Jintao had agreed to an investigation of Zhou Yongkang. Given Zhou’s high rank in the Party, an investigation that might lead to arrest had few precedents. Since then, the Chinese Communist Party has systematically built a case against Zhou, by arresting or investigating his cronies and former subordinates in the oil industry in his base of Sichuan Province, and in the security apparatus. In December 2013 several Chinese-language media said that Zhou had been arrested. Epoch Times reported these rumors were circulating but could not independently confirm them. But all signs pointed clearly to Zhou’s eventually being arrested. The media reports of July 29 present Zhou’s arrest under the rubric of anti-corruption. It is true that corruption has been the pretext for the ongoing purge that Xi Jinping is carrying out. A commentary published by Epoch Times in December 2013 goes behind that pretext to examine the real reasons for Zhou’s arrest. Ever since the Bo Xilai scandal broke open in February 2012, there have been rumors that Zhou Yongkang, formerly the security tsar and the most powerful member of the Politburo Standing Committee, was in trouble. Bo Xilai had been a rising star in the Chinese Communist Party (CCP) until his right-hand man, Wang Lijun, fled to the U.S. Consulate in Chengdu seeking asylum. Bo was also a close ally of Zhou Yongkang. 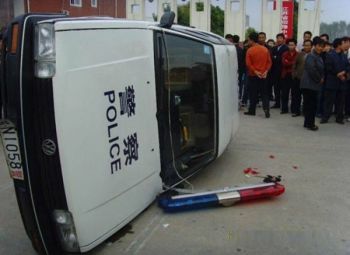 After Bo was targeted, people assumed Zhou’s turn would soon follow. But after each report, Zhou would show up in public or some media outlet would make a report to counter the rumor that had discredited him. Last week, at least three overseas Chinese media outlets reported that Zhou Yongkang had formally lost his freedom. It’s not clear what his status is, whether he is under house arrest or has been submitted to the abusive Party interrogation called “shuanggui.” Unlike previous times when similar information was leaked, there hasn’t been any sign of Zhou’s appearance in public. While the CCP hasn’t formally announced the decision to investigate Zhou Yongkang, all signs point in the same direction. This time it’s only a question of when to make the announcement. The first sign is that since the CCP’s 18th Party Congress in November 2012, more than 10 officials at the provincial level have been investigated or even arrested. Most of them are close to Zhou Yongkang. They are from the oil industry, Sichuan Province, and the legal system, where Zhou held top positions and kept close ties even after he left. The second sign is that Caixin Magazine reported in a series of articles how a group of well-connected families made their fortune through the Chinese oil industry. Two of the names mentioned in those articles are white gloves— middlemen who do the dirty work, including launder money, for Zhou Yongkang’s family. Mentioned in the article are the son, daughter-in-law, and in-laws of Zhou Yongkang. The most recent article was published on Nov. 22, right after the Third Plenum of the 18th Party Congress, which concluded on Nov. 12. At that moment, most people didn’t expect that evidence pointing at Zhou Yongkang would be raised again. Caixin magazine is believed to have connections with Wang Qishan, the main figure behind the current anti-corruption campaign. The Caixin magazine article supports the claim made in the overseas Chinese media that the decision to go after Zhou was made at the Party’s Third Plenum. According to most media reports, Zhou Yongkang’s main crimes are corruption, planning a coup, and murders. However, all of these crimes will not necessarily appear in the formal charges that will be brought up against him. There is no doubt he will be charged with corruption. Unlike Bo Xilai, Zhou’s money is mainly from the oil industry, which is the most monopolized and profitable industry in China. It is believed that Zhou’s corruption involved billions of Chinese yuan. The murder charge also can be used. The reports said that Zhou murdered his first wife in order to be able to marry a then-CCTV anchorwoman, now his second wife. There are also reports of attempts to murder current CCP leaders, including Xi Jinping twice. The charge of abuse of power against Bo Xilai involved how he handled his wife’s murder of the English businessman Neil Heywood, and so it’s possible Zhou may be charged with murder or attempted murder. The question is which incident will be used. The coup is probably the most serious crime from the CCP leaders’ point of view. It’s also one of the most important reasons why Xi Jinping must go after Zhou Yongkang, even though Zhou is already retired and as a former member of the Politburo Standing Committee has been considered untouchable. The coup Zhou Yongkang and Bo Xilai planned was not against former Party leader Hu Jintao and former premier Wen Jiabao, but against Xi Jinping. If Zhou Yongkang is not openly punished, Xi will be considered a weak leader, which can be politically fatal and suicidal. Zhou also offers Xi an opportunity. Xi and his new leadership team can’t start real political reform, but he can use opposing corruption to buy the Chinese people’s support. Taking down Zhou gives Xi the chance to establish his bona fides in fighting corruption. So far, most reports have missed the most important part of Zhou’s scandal: Zhou’s real crimes and the sources of Zhou’s political power. Zhou Yongkang was the CEO of PetroChina for 12 years and as such was ranked as a minister of the State Council. After only one year as the minister of Land and Resources, Zhou was appointed the Party secretary of the CCP Sichuan Committee. At that point, Zhou Yongkang was only one of hundreds of officials at the ministry or provincial level. His first big break came in 2002. The most important tools used by Jiang Zemin in the persecution of Falun Gong, which started in July 1999, were the propaganda and security forces. The security forces were coordinated by the CCP’s Political and Legal Affairs Committee (PLAC). Jiang Zemin was not satisfied with the work done by the Ministry of Public Security (MPS), which has been the main force in carrying out the persecution. To drive forward the persecution, he needed someone of his own to head the MPS, someone he could trust, someone who had been proven ruthless. Jiang hand-picked Zhou Yongkang, even though Zhou didn’t have any experience in police work. Being the Minister of Public Security didn’t necessarily mean Zhou would automatically enter the center of the political power. No one heading the Ministry of Public Security had ever been included in the decision makers. However, Zhou’s case was unique. Jiang Zemin faced retirement first as head of the CCP, and then the next year as head of state. He urgently needed to make sure that his main and probably only legacy, the persecution of Falun Gong, would continue after his retirement. He expanded the number of Politburo Standing Committee members from seven to nine, with the two newly added members being Luo Gan from the PLAC and Li Changchun from propaganda. In the meantime, he changed the rule for how decisions were made inside the Standing Committee. The new rule: Each member took care of his own business and nobody could veto others. The new rule made sure that Jiang, although formally retired, had enough votes to prevent the policy of persecuting Falun Gong from being changed. It also assured that only Jiang’s man, Luo Gan, would carry out the persecution. When Luo Gan retired in 2007, Zhou Yongkang inherited not only the leadership of the PLAC but also Luo’s seat in the Politburo Standing Committee. Zhou made his way into the top leadership through the security forces, which had never been done by anyone before. 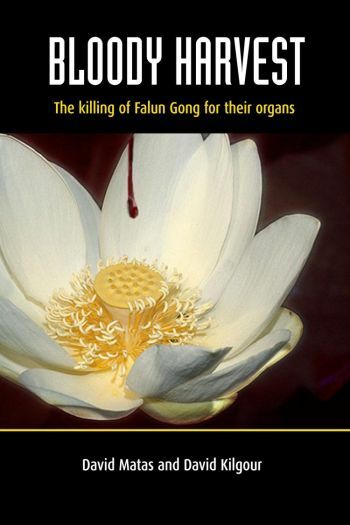 This could happen because of Jiang Zemin’s political campaign against Falun Gong. Zhou Yongkang’s second big opportunity was in 2008. That year, Beijing hosted the Olympic Games. 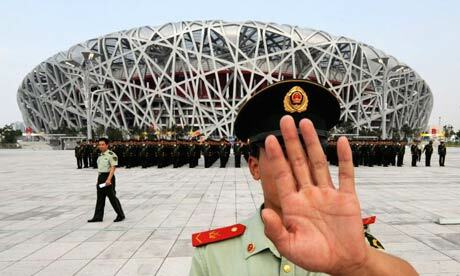 The security for the Beijing Olympics was extremely tight, tighter than any other games. Was it necessary to have 1 million people, including the army, the Armed Police, the police, and the volunteers poised to counter imaginary attacks? Well, it was necessary for Zhou Yongkang. In 2008, the CCP formally announced “five hostile forces,” including the terrorists, “religious extremists,” and ethnic separatists. Also in 2008, the CCP formally established the “maintaining stability” system, which was headed by the PLAC and Zhou Yongkang. Zhou Yongkang did not fear trouble. He feared the absence of trouble. Where there was trouble, there was Zhou’s chance. If no trouble appeared, then trouble could be created. Since the establishment of maintaining stability, Zhou Yongkang successfully expanded the PLAC’s resources and applied the methods developed during the persecution of Falun Gong against a much larger population. Zhou himself also expanded his personal power. Zhou’s corruption, coup plot, and attempted murder of Xi Jinping—these were all possible because of his unlimited power. That power originated from Jiang Zemin’s policy to persecute Falun Gong and later from the maintaining stability system. However, it’s unlikely that Zhou Yongkang will be charged with his crimes against humanity and destruction of rule of law in China, as long as the purpose of taking him down is to protect the Party’s rule. This entry was posted on July 30, 2014 at 4:58 pm	and is filed under China, Official, Zhou Yongkang. You can follow any responses to this entry through the RSS 2.0 feed. Both comments and pings are currently closed.